MINNEAPOLIS – The Virginia basketball team earned the program’s first trip to the National Championship Game with a win against Auburn on Saturday night at U.S. Bank Stadium. The three standout scorers Ty Jerome, Kyle Guy, and De’Andre Hunter each had shining moments in the 63-62 triumph. For Jerome, he put together an impressive 21-9-6 line with 21 points, 9 rebounds, and 6 assists on the Final Four stage. He scored 13 of team’s 28 points in the first half. For Hunter, he surged early in the second half when he made all 5 shots he took to finish with 14 points. For Guy, well he had the biggest 10 seconds in Cavalier history to rescue the season from the fire one more time when he hit a corner 3-pointer and then 3 pressure-packed free throws in the final second. Let’s take a closer look at some other things in the Double Bonus. 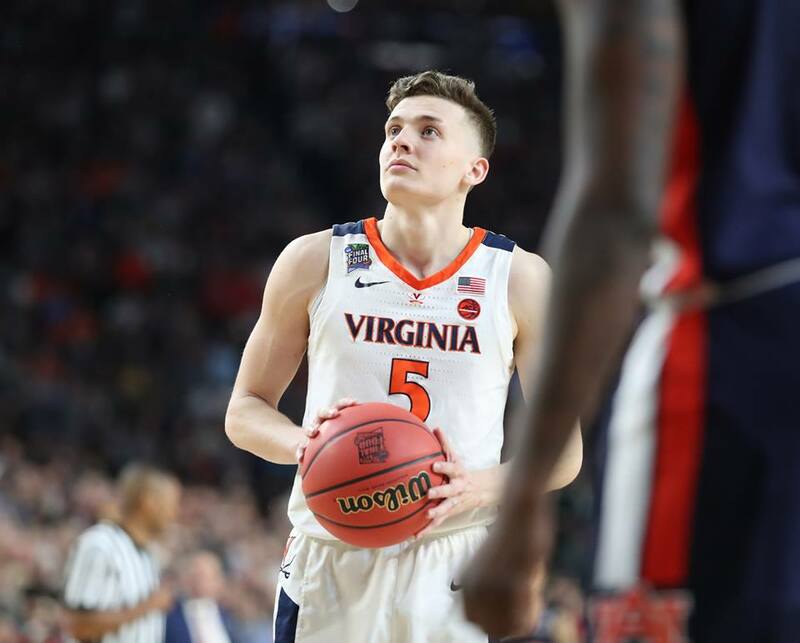 As already mentioned, Kyle Guy put the game away with three free throws in the final second in Minneapolis. But how to Guy get to the line? The Cavaliers turned to their bread-and-butter late clock sideline out of bounds play.